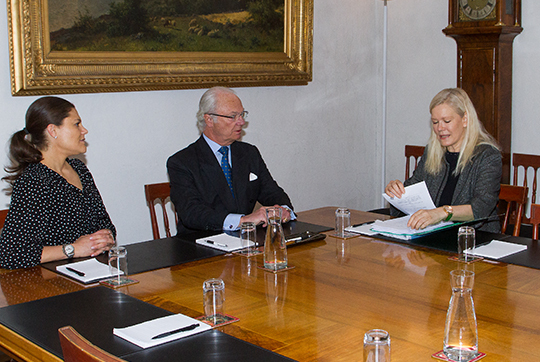 Today, Carl Gustaf and Victoria held an audience for Anna Lindstedt , Sweden's climate ambassador at the Royal Palace. They discussed the global climate agreement reached during the COP21 at Paris last December and how climate work is progressing. 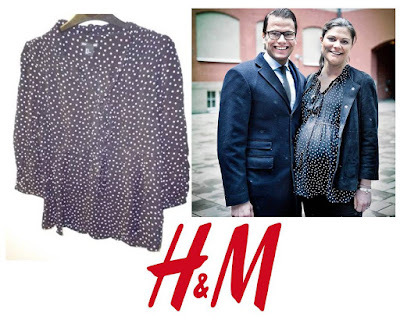 She wore a top from H&M maternity line that she already wore when she was pregnant with Estelle. Sarah IDed this top a few weeks ago! Sofia held an audience for Diana Madunic, the ambassador for sustainable business but for now, no photos were made available but this post will be updated when we have one!